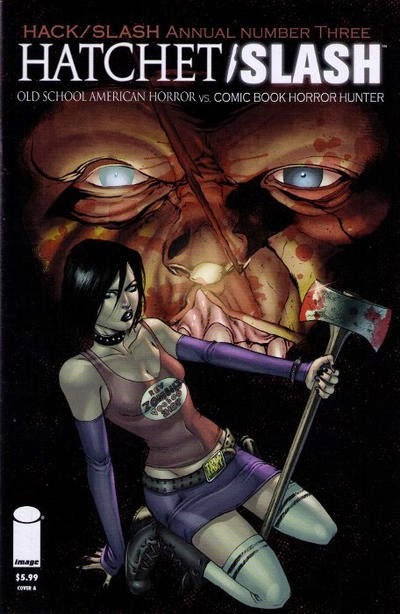 And in the coda to Cassie and Vlad's saga, Ash Williams from the Evil Dead films and the comic book Army of Darkness. 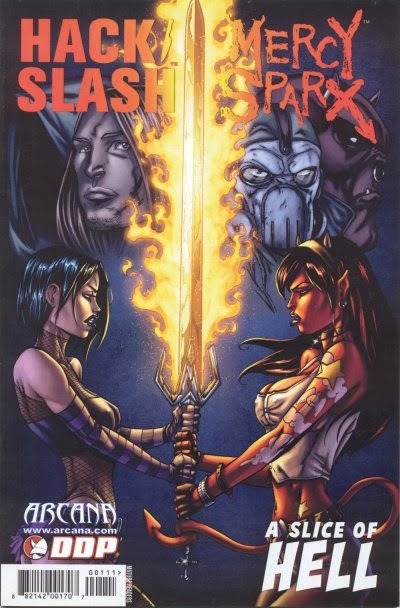 This series wracked up an impressive number of crossovers in its years of publications. 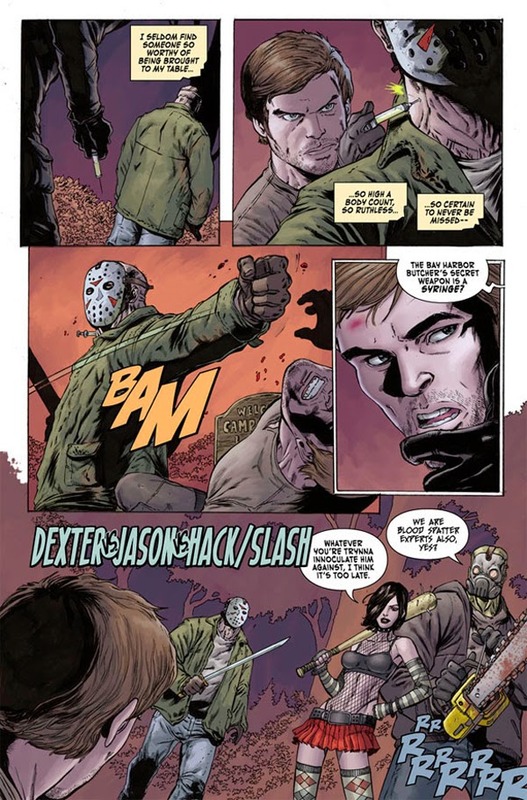 As a bonus, here's a one page unofficial comic by creator Tim Seeley in which Cassie and Vlad meet two other master killers: Dexter Morgan (from the television series Dexter) and Jason Voorhees (from the Friday the 13th movies.) I'm probably not going to include this in the book, but it's still pretty cool, particularly as I'm a Dexter fan.